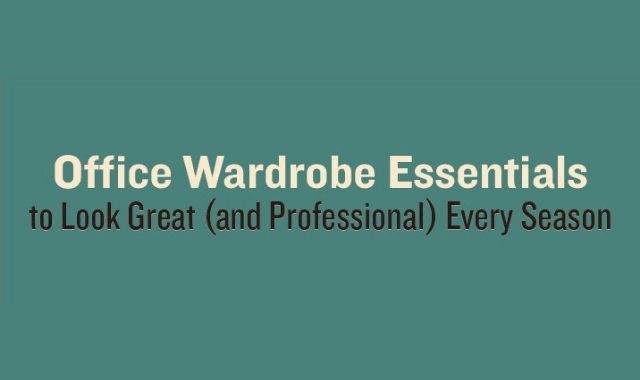 Office Wardrobe Essentials To Look Great (And Professional) Every Season #Infographic ~ Visualistan '+g+"
When it comes to professional office attire, men typically have it easy: A few suits, some crisp shirts, a couple pairs of nice slacks and shoes, and a handful of ties pretty much covers it. But the sheer variety of clothing options available to women—combined with the unrelenting cultural fixation on women’s appearance and the double standards that entails—can make getting dressed each morning a stress-riddled affair. Luckily, investing in a few wardrobe staples and knowing some strategic approaches to office attire can take most of the anxiety out of looking professional at work. Here’s how to get started.